Do you need help with landscaping, bore installation, system maintenance or anything in between? We're here to help. Our mission is to get your irrigation and landscaping running smoothly, so you can spend more time enjoying it. Bores are one of the best ways to save money on your water bill and drought-proof your home. Our bores come with a 5-year warranty and are installed by our highly-trained team of professionals. Your irrigation system is the source of your lawn and garden's health. We pride ourselves on being able to complete all irrigation jobs big and small to a high standard. Just like your car, your irrigation or bore will need occasional maintenance to ensure it's running smoothly and to prevent more serious issues in the future. This can save you time and money in the future and keep your lawn and garden healthy. Trying to find your irrigation valve? Our team are trained to find them in minutes, saving you time and effort. We also ensure that you know the best steps to take after we've found your valve. Your outdoor areas are important spaces where memories will be made with family and friends. We've got 30+ years of experience creating front and backyards that make fantastic first impressions, and leave memorable lasting impressions. All enquiries are promptly attended to and we aim to keep our clients informed of their job status regularly. 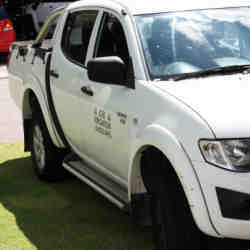 Our experienced tradesmen are trained to quickly locate and repair reticulation problems of all descriptions. We can arrange a regular system check-up, or emergency repairs as required.